Lotus Ankh Egyptian Khemetic Ear Cuff. The Lotus symbolizes the unfolding of your divinity. 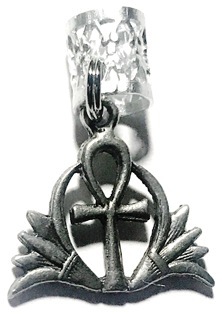 The Ankh symbolizes Life. In silver or gold.